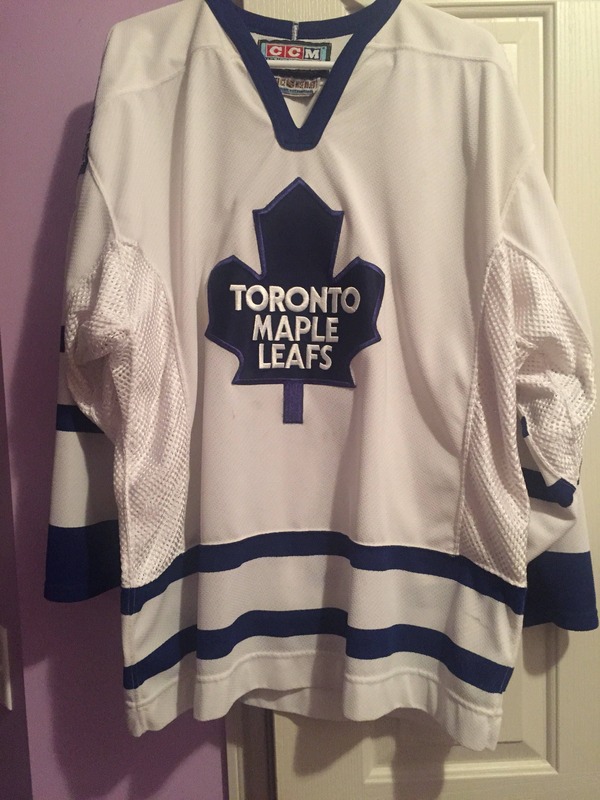 This jersey was purchased in Toronto at the Air Canada Center in the 90s. 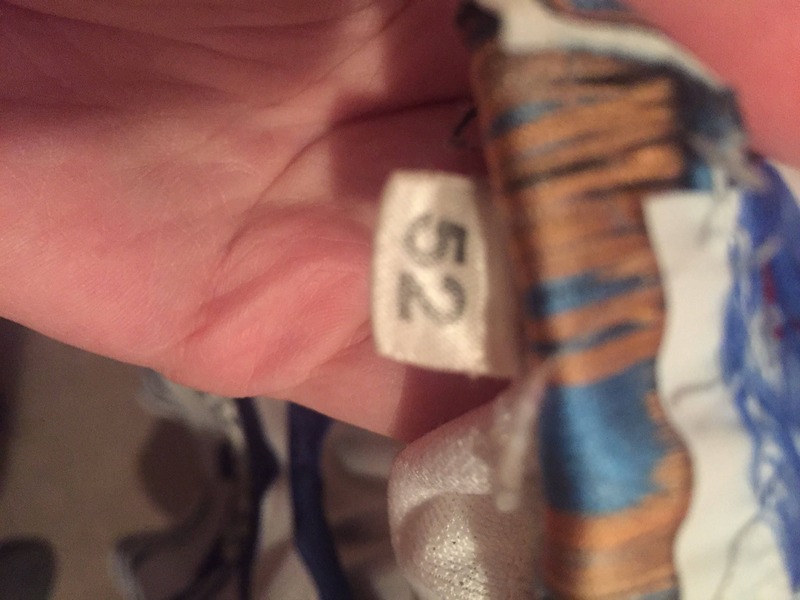 The jersey appears to have been lightly worn a couple times. There are no pulls, holes or tears, minor puck marks. 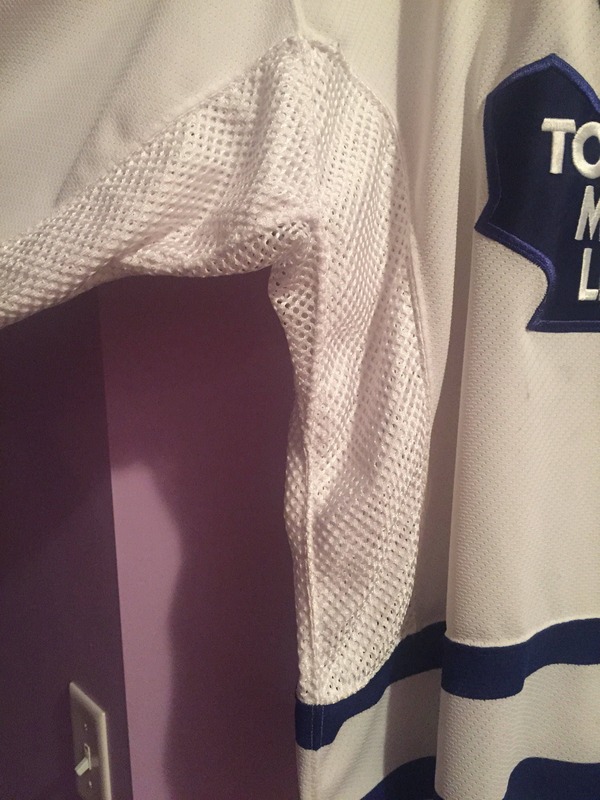 NHL Center Ice tag in the back neck inside collar. 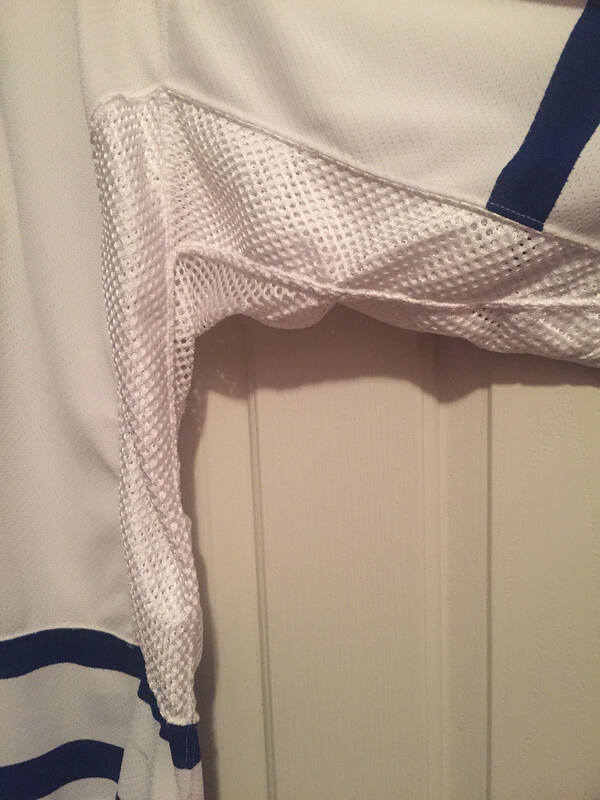 The main color is white with royal blue secondary color. 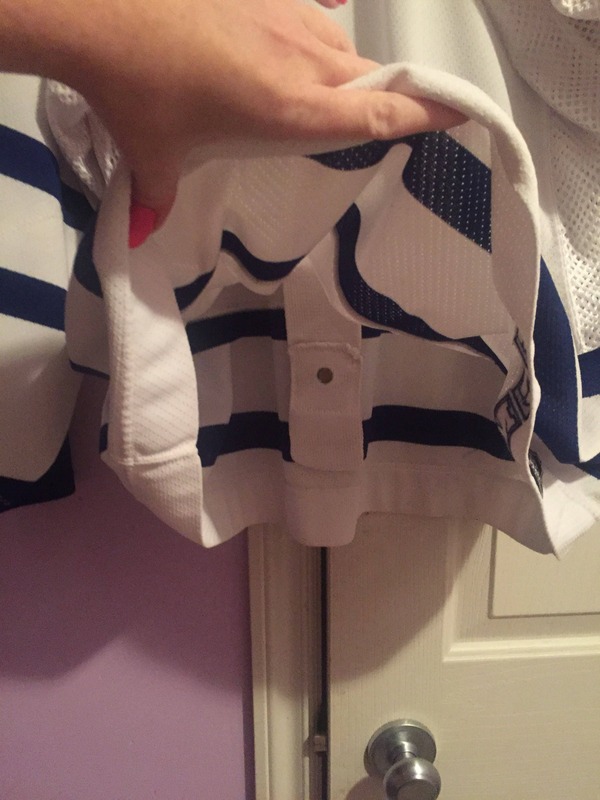 The jersey material is ultrafil. 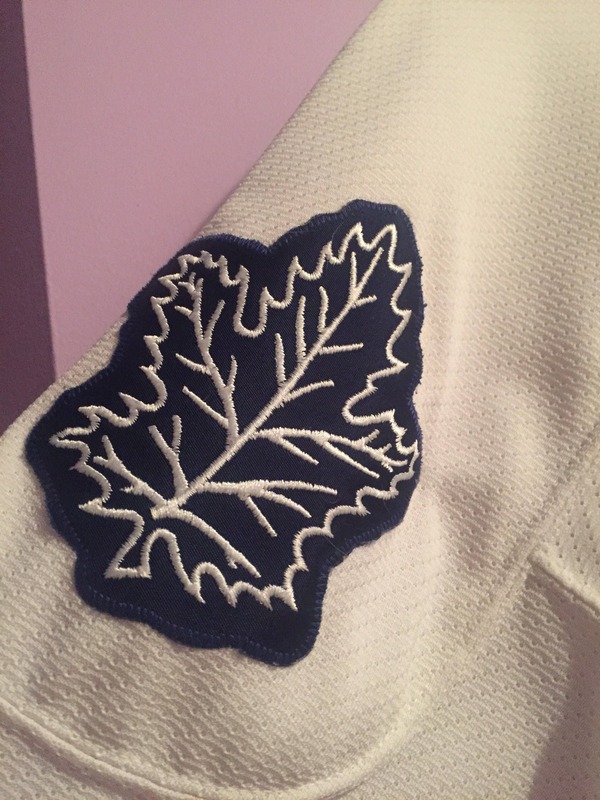 Embroidered Maple Leafs logo crest is sewn on the front chest. Alternate logo patches are sewn on the shoulders. 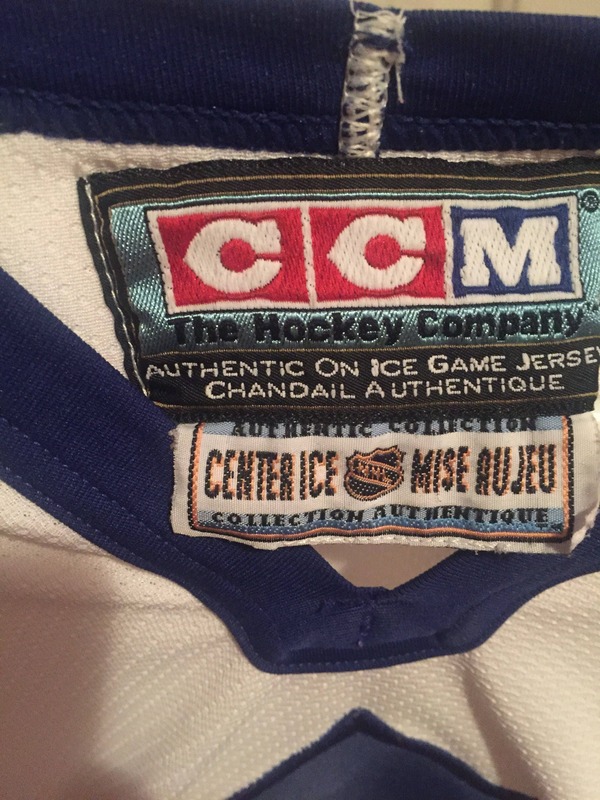 Size 52 flag tag and CCM paper tag are sewn on the inside nape of the neck. 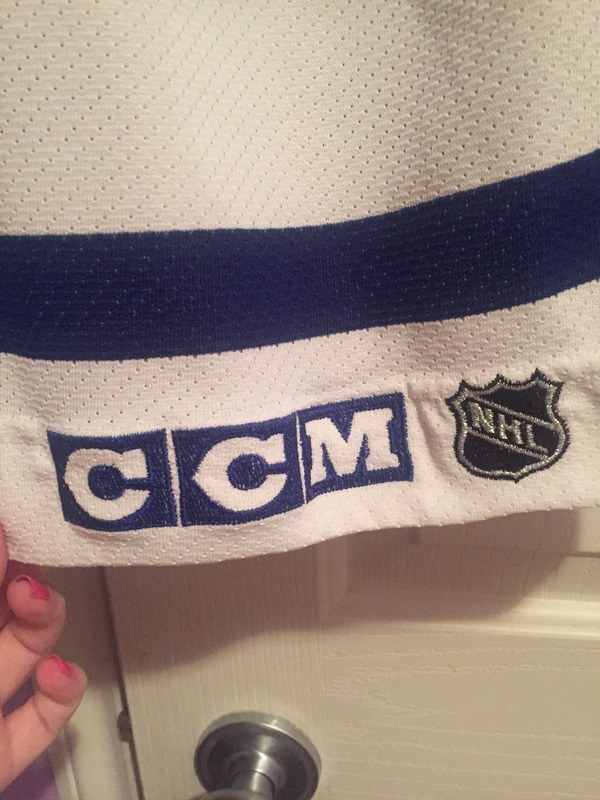 CCM and NHL logos are embroidered into the back bottom right tail. Double shoulders and elbows. Underarm mesh gussets. Tie-down fight strap. Made in Canada. Due to the value of this item, upgraded shipping is recommended.